Rivas is popular for its beaches, lagoons and Lake Properties. The most popular destinations in Rivas are the Beach of San Juan Del Sur with a large expad community and its surrounding white sand beaches which are gifted with incredible surf breaks making this a Surfing Mecca. Isla Ometepe is the largest fresh water island which is made up of two picture-book perfect volcanoes reaching out of the lake. 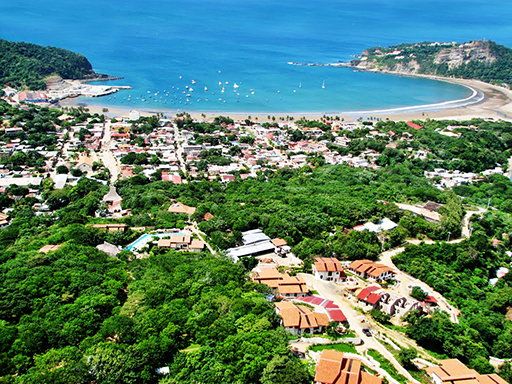 Rivas borders Costa Rica and boosts some of the most amazing beaches of Central America. With a dry season this place has arguably the best climate in Central America for those who love dry and warm weather. Strong winds do not only offer cooler breezes from the sea and across the lake but also make sure there is low precipitation and generate much needed electricity for its region and its neighbor Costa Rica. This 3BR unit with 2160 square feet of space, offers the ability to select personal plunge pools, outdoor showers, or rooftop verandas with the option of an additional Penthouse bedroom with full bath. This residence also have exclusive access to a neighbourhood pool and lounge area shared only by the residents of Las Terrazas and Guacalito de La Isla. This 3BR unit with 2260 square feet of space, offers the ability to select personal plunge pools, outdoor showers, or rooftop verandas with the option of an additional Penthouse bedroom with full bath. This residence also have exclusive access to a neighbourhood pool and lounge area shared only by the residents of Las Terrazas and Guacalito de La Isla. The most beautiful beach house in the area.